San Francisco, April 5: Joining the league of other tech giants and their big fancy annual conferences like Facebook's "F8", Google's "I/O" and Apple's "WWDC", photo-messaging app Snapchat hosted its first "Partner Summit" in California. The motive of the event was to unveil new products - some for users, some for developers - and encourage potential partners to build features or products that work with the Snapchat app, Recode reported on Thursday. Facebook Beats Google To Become Hot Bed For Political Advertising Ahead of 2019 Lok Sabha Elections. During the event, the platform announced new Facebook app-inspired "Stories" option, in-house built multi-players games and more Augmented Reality (AR) filters which are not just restricted to faces. 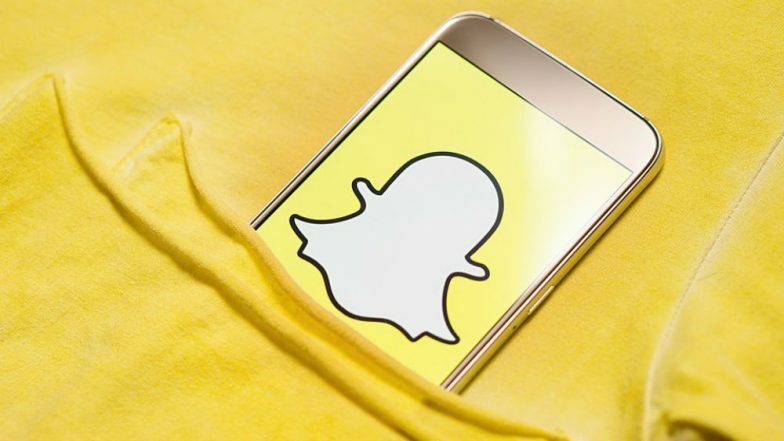 Snapchat, in a statement, said: "'Stories' feature allows people to share videos, photos shot from Snapchat's in-app camera on dating app Tinder and social networking app Houseparty as 'Story'". A new filter called "Landmarks" also made its place on Snapchat, bringing AR filters for iconic landmarks from around the world, like the Eiffel Tower, the report said. WhatsApp, Facebook & Instagram Will Not Work on These Phones From April 30; Is Your Smartphone On The List? These apart, in partnership with media companies like Dakota Pictures, NBC and Insurrection Media, Snapchat announced eight new shows including a comedy show, a zombie apocalypse show and a docu-series about race in America, the report said. Snapchat also floored its new ad network, called the "Snap Audience Network" . "The plan is for Snap to sell ads that will appear inside other companies' apps, a move that will help Snap advertisers reach a larger group of people than just those who use Snapchat," the report noted.